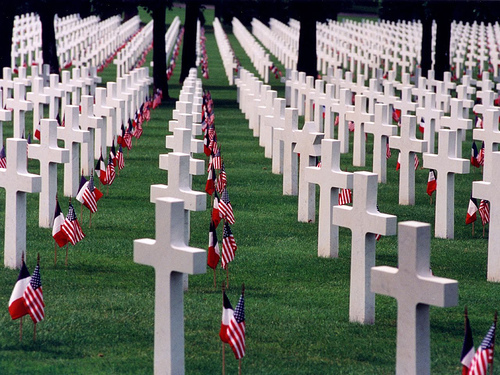 Memorial Day and Veterans Day are two different holidays in who they honor. Veterans Day honors all veterans and Memorial Day honors those who made the ultimate sacrifice. Started immediately after the Civil War, Memorial Day was originally known as Decoration Day as Civil War veterans wished to decorate all the graves of their fallen comrades. They picked May to do this as it was their wish to have all the graves in bloom with flowers across the country. After World War I, the day changed to Memorial Day, the day in which we honor all the fallen military service members. I found a YouTube video that summarizes this day pretty well – you can click here to view it. Thank you to those who made the ultimate sacrifice and to their families and friends who live with that sacrifice day in and day out.